FAQ's - Davie, FL Title Company | 1st Trust Title, Inc.
1. 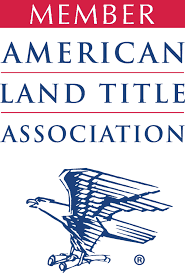 Why Purchase Title Insurance? Legal rights of ownership can be jeopardized by a hidden defect in your title. Any one of a variety of defects may appear unexpectedly, only to result in a costly loss or require time-consuming hours and effort to resolve. Title insurance protects you from damages and expenses incurred as a result of hidden defects in your title. 2. My elderly mother owns property in her name alone. She doesn't have any assets other than her existing home which isn't worth much in the current market condition. I don't want the home to become my financial burden. How can I avoid probating her estate that has only this asset? Your mother may want to consider creating a “life estate” Deed, which would allow her to live on the property until her demise. Upon her death, the property would automatically pass to the remainderman, designated by her. We can refer you to the law firm of KALIS, KLEIMAN & WOLFE, who has the knowledge to assist you in preparing such a document. 3. What happens if I paid my mortgage off and the bank never satisfied my loan? Depending on the life of the loan, 1st Trust Title, Inc. or the law firm of Kalis, Kleiman & Wolfe can determine for you if a Satisfaction is still necessary to file of record. They can also assist you in obtaining the actual satisfaction directly from your lender. 4. If I refinance my home, can I save money on the new loan policy required by the Lender? On a refinance, 1st Trust Title, Inc., can offer a discount (reissue credit) against the actual premium due. In order to do this, the Owners Title Insurance Policy that was issued when you purchased your property would need to be provided. This could be a substantial savings to you. 5. I am closing on my home and moving to a new State. The timing of the closing here in Florida and the move to the new State, job and home are stressing upon me. Can I pre‐sign my required documents for the Sale and provide a Power‐of‐Attorney to my realtor to handle the remaining on my behalf? Yes, it is not uncommon to have the Seller(s) pre‐sign their Seller documentation. The documentation can be held in escrow until such time as the closing. A Power‐of‐Attorney, which is specific to the sale of your real estate property only, normally can be used in most circumstances to finalize any remaining documentation at Closing. 6. How can you expedite a closing? Buyer’s and seller’s full name, addresses phone and social security numbers. Buyer’s lender, contract and phone number. Seller’s existing mortgage with lien number, mortgage address, and phone number. Copy of Seller’s Warranty Deed and owner’s Title Insurance Policy. Name, address, and phone numbers of homeowner’s association. Business cards or contact information for each broker. 7. I need to sell my home and am thinking about doing a short sale. How can I do this? You will need to first contact your current lender to discuss the criteria for doing a Short Sale. They may require that the property be listed and under Contract before submitting the sale to them. They may also require proof of current financials and tax forms. Once a package has been submitted to your lender, it will need to go through their approval process between them and the current investor. This may take anywhere between 3 weeks to 2 months, so patience is needed in this process. The staff of 1st Trust Title, Inc. are experts in short sale closings and can assist you in expediting this process for you. 1st Trust Title, Inc. specializes in title insurance, escrow and other real estate closing services for residential and commercial real estate purchases/closings. 1st Trust Title, Inc. is an approved agent of Old Republic National Title Insurance Company and ChicagoTitle Insurance Company. 1st Trust Title, Inc. is headquartered in Davie, Florida at 7320 Griffin Road, Suite 109. For additional information please call (954) 587-1033.